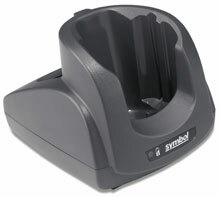 Symbol - Single-slot cradle with serial & USB ports, and spare battery charging well. Includes US power supply (Part# 50-14000-249R). Requires separate purchase of AC line cord (Part# 50-16000-182R), USB (Part# 25-68596-01) and serial (Part# 25-63852-01R) cables. The Symbol CRD1000-1000RR is also known as Symbol Technologies	SYM-CRD10001000RR	or CRD10001000RR	.